What do Baroque archives have in common with the present? With the onset of colonialism in the early modern period, knowledge of languages and semiotic systems exploded, as it does today. Just as the current digitization, attempts to contain the unknown led to standardization and thus to the reduction of diversity. Archives reflect this ambivalence and fragility. Material-based discussions about the organization of knowledge in archives, academies, and alphabets between colonial heritage and resistive practice: about Baroque encounters with non-European sign systems, economic and aesthetic strategies in dealing with the uncertain, the need for gaps in archives and the phonetic dimension of alphabets. In a discussion moving from Baroque knowledge systems to the present, Karin Harrasser and Paul Feigelfeld address the transformations that resulted from the early Baroque encounters between Jesuit missionaries and non-European sign systems. The Chinese script, for example, exercised an influence on the development of European mathematics and later on computer science. Further themes include: cartography, mathematics, scalability, speeds, states, religious orders and companies, and media and archives. In numerous argumentation steps, Joseph Vogl considers the extent to which economics and aesthetics around 1750 can be understood as a reaction to the unknown of colonial expansion, as strategies for coping with contingency. What long-term effects of this understanding of economics and aesthetics can still be found in our contemporary knowledge systems? With the leaping steps of a Courante, Britta Lange connects the constellation of the Baroque with the Berlin sound archive and its precarious collection: with the voices of colonial subjects and with the system of the archive and the question of what can escape it. 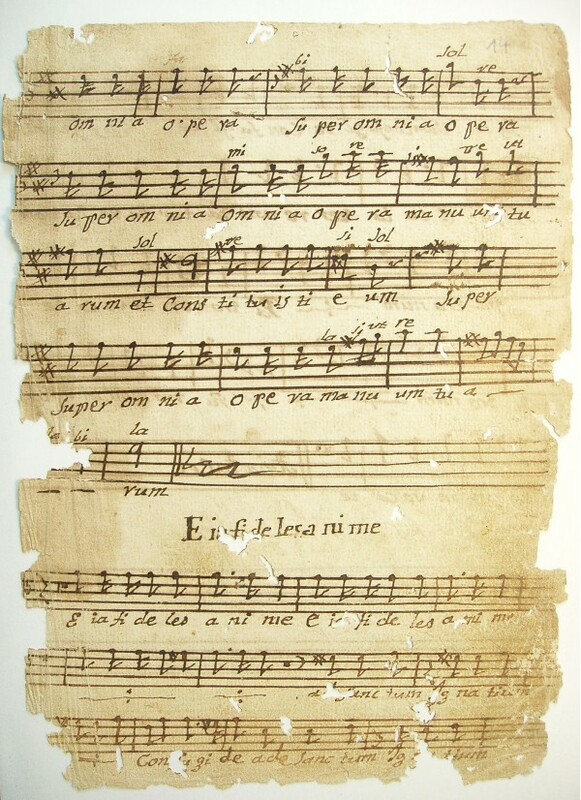 The Sarabande’s diverse origins (French, Moorish, Persian, Mexican) make it an ideal matrix for speaking about the Archivo Musical de Chiquitos (Bolivia): about music as body politics and as an instrument for creating a sense of community, governance, and resistance. Eva Reiter and Karin Harrasser use two violas da gamba to interpret the surviving musical scores of the Archivo Musical de Chiquitos. This is a practical dialogue on gestures, embodiment, textualization, standardization, and the necessity of gaps.